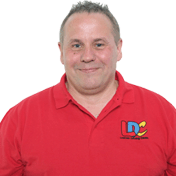 Hi I’m James, I am a fully qualified Government Approved Driving Instructor (ADI) and I am passionate about road safety. I have been driving accident free for 30 years and I am a member of The Institute of Advance Motoring, I was formerly a Driver Assessor for Taylor Barnards and TNT. I was made redundant in August 09 and as I have wanted to become an Approved Driving Instructor for many years I found myself with the time and finances to pursue my goal. It is a job I know will give me great satisfaction and what can be better than seeing someone pass their test first time? I have been told many times by friends, family and work colleagues that along with my passion for driving I was a calm and relaxed person and that I would make a great Driving Instructor. I was fortunate enough to be trained by LDC in the latest adult coaching and training techniques so you can be assured the training I will give will be of the highest standard. I chose to work with LDC because everybody is different and the LDC system allows for flexibility in lessons so that you learn to drive safely at a rate that suits you. I aim to make every lesson enjoyable and as productive as possible; the LDC system just helps me to do this more effectively.